Today's standards in medicine and life-sciences lead to people that get older than it was possible a hundred years ago. The same holds true for their cells, which are showing an increased sensitivity for negative stimuli from the environment and from inside the body. This weakness can result in diseases, which cannot be explained by the effect of single genes. Thus, it is assumed that there exists a complex interplay of several minor gene defects causing the disease onset. 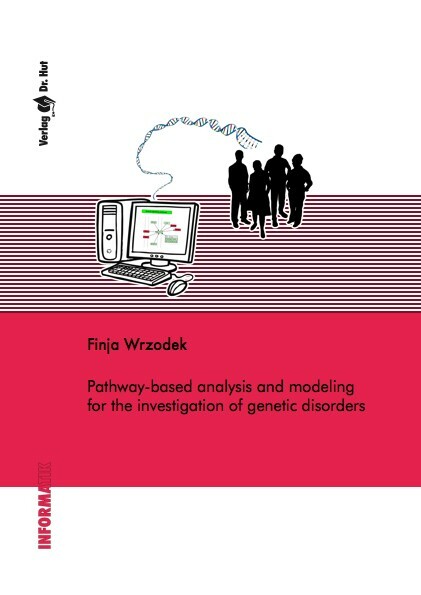 In this thesis, several analysis and modeling approaches were developed to support researchers by revealing these underlying disease mechanisms. The developed methods combine existing knowledge from several online databases with experimental data to extend the known picture of diseases and to be able to detect the missing piece in the puzzle. The starting point of this thesis was the development of a method to detect novel protein interactions by mapping experimentally validated and predicted domain interactions on proteins. With this method it was possible to suggest new protein interactions but also to describe existing interactions in more detail. In the second step, this biological data combination was further extended with pathway information to develop an analysis method for genome-wide association studies with the aim to reveal disease associated pathways. This method identified three new disease-associated pathways for rheumatoid arthritis and type 1 diabetes. The second mayor focus of this work was set on the development of in silico models. Therefore, the BioPAX2SBML converter was developed, which converts models from the Biological Pathway Exchange language into the Systems Biology Markup Language, which can be used for simulation purposes. BioPAX2SBML was used to translate the entire Pathway Interaction Database and parts of its logic were integrated in the applications InCroMAP and KEGGtranslator, which are recognized modeling and analysis tools. Further, kinetic, logical and constraint based models in the SBML format were built during the international path2models project by combining knowledge of the KEGG PATHWAY database with information from MetaCyc, BioCarta and SABIO-RK. Finally, the gained knowledge of the previously described approaches was used to develop a novel dopaminergic nerve cell model in SBML, which contains the essential cellular processes to support the investigation of Parkinson's disease.